In this paper a theory of dialogue acts analysis in problem-solving tasks-oriented conversations is presented. The theory postulates that in practical dialogues every transaction has a component in the obligations and the common ground planes of expression, and contributions made by dialogue acts making a “charge” in the transaction should be “balanced” by contributions making the corresponding “credit”, and a complete transaction is balanced in both of these planes. In addition, transactions have a structure which constraints strongly the realization of dialogue acts. A dialogue act tagging methodology based on the theory is also presented. 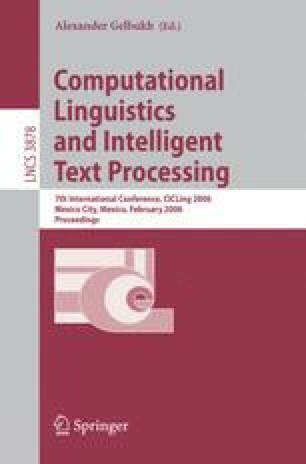 The theory and its related methodology have been applied to the analysis of a multimodal corpus in a design task, and the figures of the agreement reached in the preliminary experiments are presented.